Restorative dentistry employs various techniques to repaired damaged teeth. Missing teeth? We provide tooth replacements including dental implants. Using quality materials and experienced hands, Dr. Nameth can recreate oral health when problems have worn down your smile. For patients in Worthington, Dublin, Westerville, and surrounding areas, Dr. Nameth provides convenient restorative dental care. If you want to maintain a beautiful smile throughout your life, restorative dentistry can help. How? 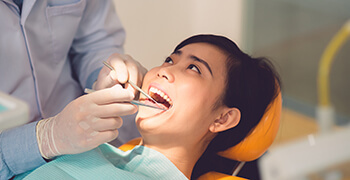 By using cosmetic materials such as tooth-colored composite resin and porcelain, we can provide dental restorations – fillings, crowns, and replacement teeth – that look as good as they feel. 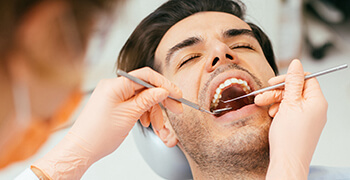 Do you have amalgam fillings you’d like replaced? We will gladly replace your amalgam fillings with metal-free composite fillings at our Worthington dental office. Dental crowns look like regular teeth when viewed from the top. However, if you turn them over, you’ll find they are crafted to fit over the top of a tooth. We craft dental crowns from a variety of materials and use them to restore teeth in a number of different circumstances. 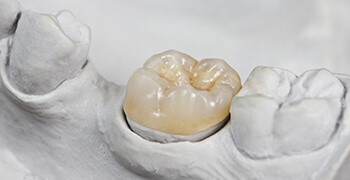 A series of dental crowns can also be fused together to create a tooth replacement prosthetic known as a fixed bridge. These dental restorations can be used to replace one to three consecutive teeth. 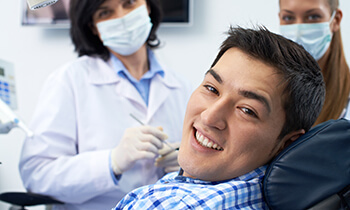 If you experience dental phobia or anxiety, need multiple or complex treatments, or have difficulty numbing with local anesthesia alone, sedation dentistry may be a great solution. We offer oral conscious sedation to help patients feel relaxed and free from pain through even the most complex dental procedures. Oral sedation is administered via pill. You’ll take the prescription sedative about an hour before your treatment. By the time you reach our office, you’ll already be relaxed. A trusted friend or family member will need to drive you to and from our practice, and monitor you as you recover from the effects of the sedative. If you are missing some or all of your teeth, Dr Nameth can provide a partial or full denture to replace those teeth. 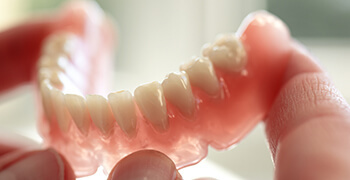 Like fixed bridges, partial dentures are held in place by remaining teeth. Patients from Worthington, Dublin, Westerville, Lewis Center, or any other town in the Columbus area can find the right form of tooth replacement at the dental office of Randall Nameth, D.D.S. Not sure which form of tooth replacement would best suit your needs? Contact us for a consultation and let Dr. Nameth help you. When you’re experiencing a severe toothache or sensitivity to changes in temperature, you may be in need of root canal therapy. This procedure is necessary when dental decay or damage affects the innermost layers of teeth where the sensitive nerve system is housed. Call us right away if you experience any of these issues. Contact the office of Randall Nameth, D.D.S. to make an appointment. Located in Worthington, we see patients from the entire Columbus area including Dublin, Lewis Center, and Westerville. Oral cancer claims one life an hour on average in the US. 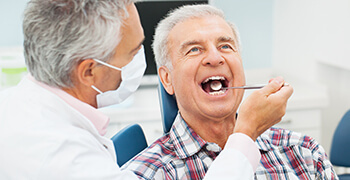 The Oral Cancer Foundation recommends more frequent screenings to diagnose and begin treating oral cancer in earlier stages as the best method for decreasing the number of annual oral cancer-related deaths. We include screening for oral cancer as part of every six month dental checkup at Dr. Nameth’s Worthington, OH dental office. The screening is quick and completely painless. We can also use the ViziLite oral cancer screening device that allows us to see lesions and other potentially affected areas. 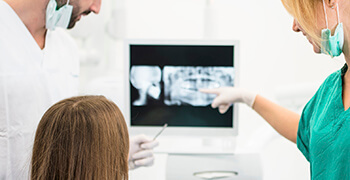 High quality dental radiography is a key component of every dental checkup as well as treatment planning for restorative care. We utilize digital x-ray technology to produce clear images of the parts of teeth below the gum line. The high definition images produced by our digital x-ray system allow us to clearly see damage, decay, or developmental concerns in the earliest stages.